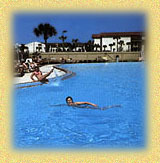 Planning to relocate to Flagler Beach, Florida? You can buy a home, condos, land, lots, commercial properties, waterfront property on the ocean, river, lakes and Intracoastal waterways and in Gated Golf Communities. Build your own home!. Our featured "Custom Builders" have current inventory and the ability to build your dream home! With the unique location of Palm Coast, you can have a custom home built or buy these properties on a golf course, the ocean or river and in gated communities to live in as your home, a second home or an investment property. The tax laws allow for a 1031 exchange and makes a great opportunity for you in the Palm Coast, Flagler Beach, Daytona Beach, St Augustine, Florida and World Golf Village areas. Palm Coast real estate. 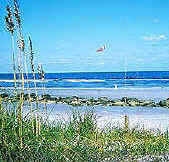 Buy homes, land, lots, condos, waterfront, oceanfront, investment and commercial real estate in Palm Coast, Florida A guide to purchase and lease single family homes, condos, oceanfront, waterfront, golf, golf homes, gated communities, golf course homes, luxury homes, second homes, vacation homes, manufactured homes, real estate in the Palm Coast Florida area.